After two eras spent protecting the world, Captain America has wrung almost all the power he can out of the Super-Soldier Serum - but menaces like the Red Skull, Baron Zemo and the Serpent Society guarantee he'll go down fighting! And this time, he may go down for good. Will the shield finally yield? 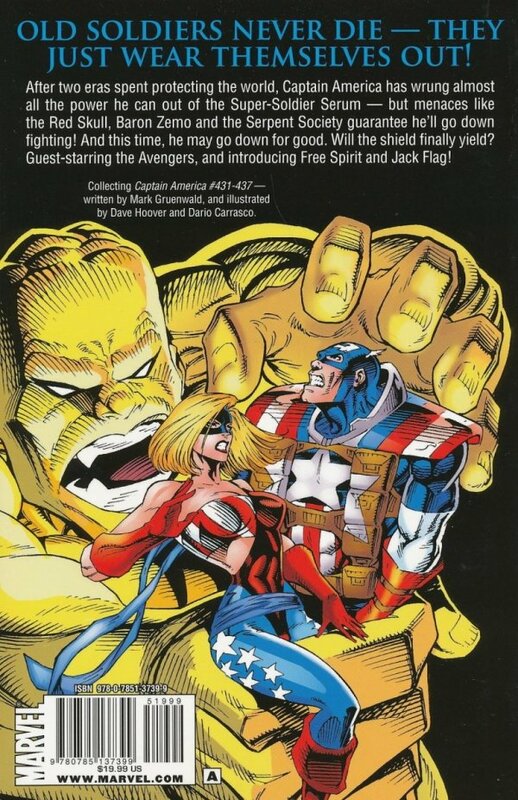 Guest-starring the Avengers and introducing Free Spirit and Jack Flag!